For today's startups, one of the best ways to get funded and set out on the path towards growth and success is to join business incubators. To see if an incubator is right for you, consider the three key ways they can help startups grow. Business incubators help startups through their early development by providing business advice, resources, contacts and capital. They can be funded by governments, created by universities or started by entrepreneurs as non-profit or for-profit ventures, which sometimes focus on a particular industry, like technology. Incubators are attractive for first-time founders because you can learn from experienced executives, test your business model and gain industry credibility from the program's prestige. Most programs see founders relocate to the incubator’s office space, where you work alongside other startups for the duration, or until you have the resources and capabilities to grow alone. Here are three key ways in which incubators can help startups grow. Finding early-stage funding is critical for new startups, because of the need to test business models and develop products. And many incubators offer it, either as a grant or an investment in return for equity. Also, startups housed in incubators don’t have to budget for normal business expenses like office rent and overheads, possibly sharing resources with other startups, allowing them to better utilitise their funding. To raise capital, startups need to meet and win over elusive investors – some spend months searching and struggling to make appointments, while others use expensive intermediaries. Successful incubators can save you the time and money as they're connected to big networks of venture capitalists and angel investors, and can introduce you to those most suited to your business concept. And because incubators also typically help you craft your pitch, you walk into meetings with a better chance of making a winning one. At the best incubators, proven entrepreneurs act as mentors to guide you in the basics of business and help you craft a business plan that's attractive and ready for investors. You can also attend pitching days and other startup events that allow you to hone your delivery and network with potential funders and partners. When it comes to choosing an incubator and market in which to get started, you’re spoilt for choice in Asia. The region boasts thriving and emerging startup ecosystems, with a rising number of exciting incubator programs. The top pick for many founders is Singapore which ranks 10 in Compass’ 2015 Global Startup Ecosystem Ranking – making it the highest rated in Asia-Pacific. High levels of internet penetration and government support in the form of tax incentives and funding entice entrepreneurs from across the region, while big exits and valuations, like Garena’s US$2.5 billion, and highlight the real opportunities for startup success. 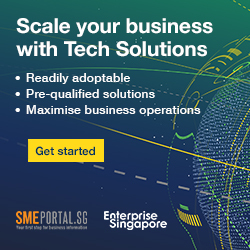 And PricewaterhouseCoopers predicts more to come, estimating tech-enabled startups could contribute up to 2 percent of Singapore’s GDP by 2035. High-tech founders seeking help to get started in Singapore can consider Red Dot Ventures. The seed-stage venture capital firm was established in 2011 and has government backing as an official startup incubator under Singapore’s Technology Incubation Scheme. Red Dot looks for startups with proprietary intellectual property and technologies, providing investment, acceleration and pathways to potential follow-on funding with Extream Ventures. However, if you’re seeking a tech-savvy country with lower labour costs, a better choice may be the Philippines. With internet penetration reaching 43 percent, the lower middle-income country’s startup ecosystem is newly emerging and attracting interest. And the future looks bright since the government unveiled a new roadmap to improve the environment for startups – it aims to have 500 new businesses backed by US$200 million funding and valued at US$2 billion by 2020. A well-known incubator in the Philippines is Launchgarage, which was founded as a partnership between Kickstart Ventures and Proudcloud in 2012. Its six-month accelerator program includes seed funding, mentorship, networking, pitch days and strategic partnerships with technology players. Teams also benefit from access to noteworthy partners like Google.